Need Flights to Venice Italy..? Why? Because agencies are using two different airports to reach Venice. It depends on which airline you take. Are you traveling with a major airline company, like Delta Airlines, British Airways or American Airlines? 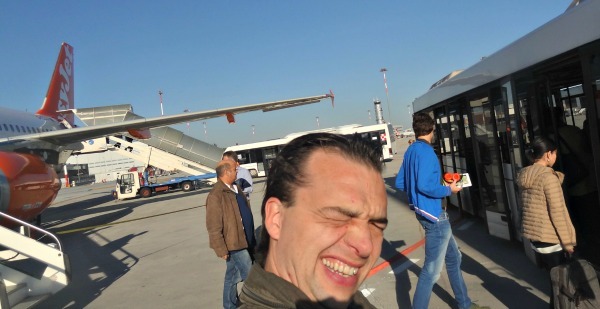 Then you will arrive at Marco Polo Airport. But are you traveling within Europe from Rome to Venice, or from Glasgow to Venice or from Amsterdam to Venice, you likely will arrive at Treviso Airport (20 miles away from Venice). Arrival at Marco Polo Airport with my Venice Italy Ticket! Let me explain. Because this is helpful... From the Netherlands I often fly to Venice. I love the two airports in Venice. The cheaper airport is Treviso Airport (TSF) and is only served by budget airlines, like Ryanair. The disadvantage is that you still have to travel more than one hour to arrive in Venice. Your options are taking a shuttle bus, complicated train route (because you first have to got Treviso centre) or take a private taxi to Venice Italy. 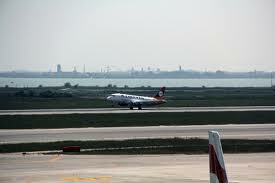 Marco Polo Airport (TSF) is a closer location and is served by international airlines. You can travel from the Airport directly with the Allilaguna boat service to Venice, within 15 minutes your are in the centre of Venice. Another important thing is, I searched and summarized all direct and nonstop flight tickets to Venice! And you want the best airfare isn't it? Need a cheap flight to Venice Italy? I show you some recommendations. 1: Saving money includes creativity. If your holiday means a trip to Europe you can take your route to Venice by first visiting other major European City. In Europe there are many ways to book cheap flights to Venice. Rome, Amsterdam, Berlin, London, Barcelona or Paris? From these cities you can book directly a flight to Venice. I will show you on my special page about 'from Rome to Venice' (Soon). Two romantic cities in one. For visitors who are traveling via Glasgow I have more information. Best European discount airline companies are Easyjet and Ryanair. It takes time to prepare, but hey… it really looks harder than it seems. 2. 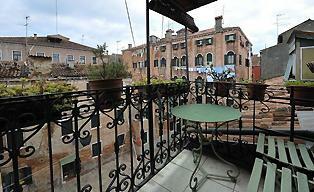 You are saving on your budget if you book directly a flight and accommodation in Venice. 3. For a cheap flight to Venice Italy you have to travel outside popular seasons. It really is a big difference on your airfare to Venice Italy. Venice itself is always magical. Pick your flight between October and April. Venice tourism is at its lowest. Bookings during Christmas and the Venice carnival hereby excluded ;) . Curious how we arrived in Venice? Check my page from airport to Venice. For information about the bus services you can also click on this link. You could read about Flights to Venice. I have some suggestions, as you see. Please explore my website more and get more information about the different topics.